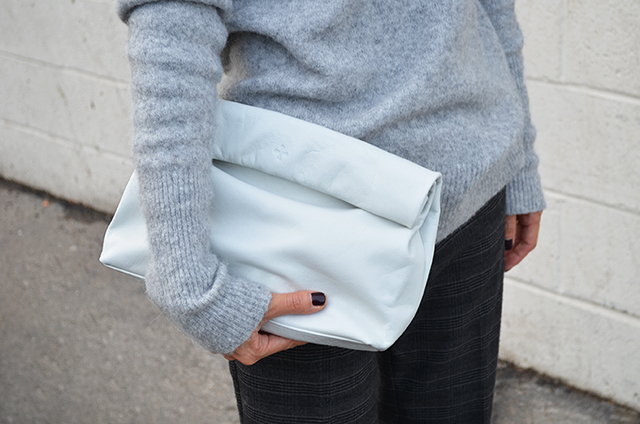 I’m loving all gray looks lately, and the clutch from marie turnor is perfect match for the combo. It’s white, but it’s not pure white or ivory. More like light gray to me. Anyway, it was nice to finally wear my favorite wool sweater from j.crew too. Love winter clothes. 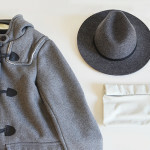 I love these soft greys. This look is just lovely! Perfect clean chic. Love everyhing! Esp. the pants and the bag. Thanks for your comment sweetheart. The skirt was bought last year on sale. Yeah it’s sold out already. It was a great bargain. 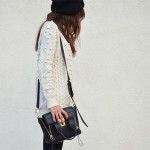 What a cute comfy look, love that white clutch. Love this look! That’s such a cute clutch!